Hong Kong VRC Paddle Team is comprised of enthusiastic and competitive athletes who love ocean sports. We paddle race dragon boat and outrigger canoe, and also OC1, OC2, Surf Ski and SUP. The team trains all year round, and competes locally and internationally. We are host to the Deep Water Bay Regatta, a highly competitive 500 meter distance dragon boat race. We also host the VRC Race Series for Surf Ski, OC1, and SUP. The VRC Paddle Team originally started as the Hong Kong Island Paddle Club (HKIPC) in 1993. 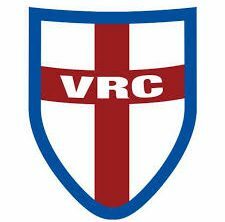 The Victoria Recreation Club (VRC) is a private club located in two beautiful locations of Hong Kong that include in Deep Water Bay Beach on Hong Kong Island, and in Emerald Bay near Sai Kung, Hong Kong.